Immaculate and move in ready in a neighborhood you'll love to call home! 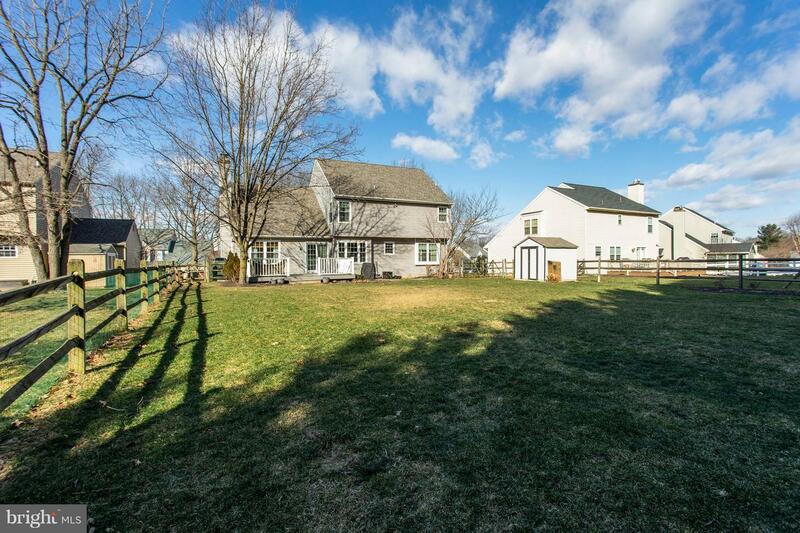 Come see this beautiful home in award winning Methacton School District. A two story foyer welcomes you into this awesome open flow floor plan. Newer bamboo flooring, crown molding, neutral paint colors throughout the entire first floor. Brand new kitchen with Century cabinets, stainless appliances, granite counters, beveled subway tile backsplash, island microwave and pantry . Eat in kitchen has built in seating adjacent to the two story sun lit family room. Brand new custom built ins wired for your flat screen tv and a slider to your trex deck, patio and fully fenced yard for relaxing or sports enjoyment. Upstairs your Master bedroom has two closets and a brand new bathroom with double sink vanity and expanded shower. 3 Additional large bedrooms and another fully updated hall bath round out this floor. Fully finished basement with abundant storage. New Train HVAC, water heater, roof and windows for peace of mind. Complete with a convenient location to so much - 422, Turnpike & Blue Routes, Wegman's & the brand, new shopping complex, King of Prussia Mall & shopping & Philadephia Premium Outlets. A perfect place to call home.